I have planned to visit the Potager du Roi in Versailles this weekend. Another orchard created for a European reigning figure of the 17th century to be renovated, which I am keen to discover after my visit to Kroměříž in Moravia in October. 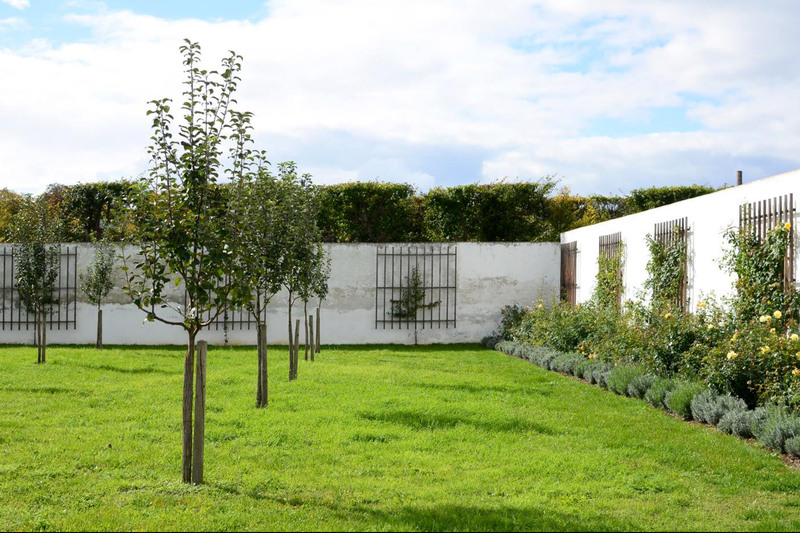 Le Potager du Roi has been chosen by the World Monuments Fund to be part of their list of twenty-five places of cultural heritage to be watched in 2018. ‘Inclusion of Potager du Roi on the 2018 World Monuments Watch hopes to help mobilize local and international stakeholders to embrace and become part of a new vision for the site.’, do they conclude in their presentation of the Potager’s renovation project background on their website. Our guide detailing the Kroměříž orchard renovation project plan, using a 1691 lithography of the place. We are in the top right square of the garden. Photo Karl Strasser, 7 October 2017. Some parts of the orchard have already been replanted in Kroměříž. Photo Ludo Vass, 7 October 2017. 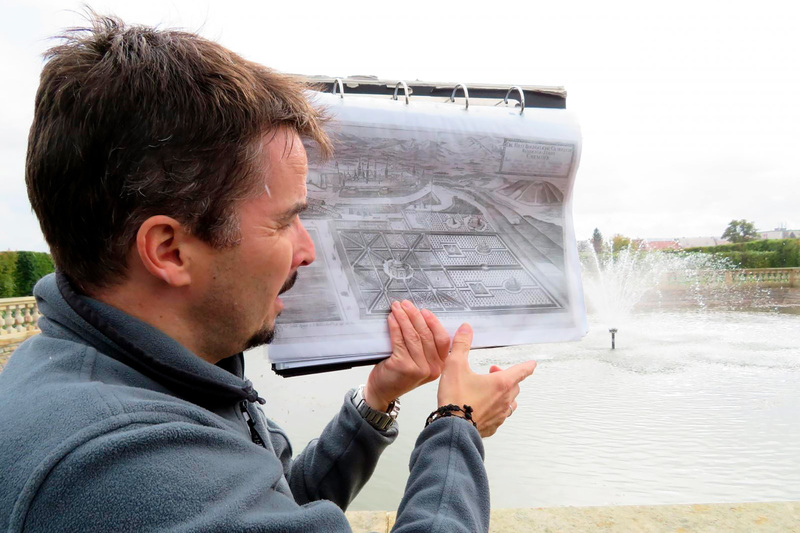 I look forward to visiting the Potager du Roi, and hopefully the Ecole Nationale Supérieure du Paysage (National School of Landscape Architecture) which takes care of it in Versailles, in particular its documentation centre. It would also be great to learn about the ‘process of identifying and engaging stakeholders to plan for the future of the site’ which is ‘currently underway’ as part of the 2018 World Monuments Watch for the Potager. This entry was posted in News and tagged France, Paris by Les Jardins d'ici. Bookmark the permalink.